To provide high-quality preschool education, creating lifelong learners of children ages three months to four years-old through a curriculum inspired by the natural curiosities of children and guided by the New York City Bureau of Childcare Early Learning Standards. To accomplish our mission and act on our beliefs, we focus our curriculum on the whole child—cognitive, physical, social and emotional, always remembering they are growing within a family. Our teachers recognize the importance of safe, supportive relationships and interactions with children and their families. We use developmentally appropriate practices that promote child-guided, active exploration of meaningful questions and “wonderings” about their world. Since children’s world views begin in their homes, family voices and culture are incorporated into our classrooms and programs. To be recognized as the leader in New York for early child education programs that prepare children for success in kindergarten and in their future educational endeavors. Creative Academy preschool students are independent thinkers with a love of learning. • We value young children’s healthy development and learning. • We believe that a high-quality early child care environment is a safe, respectful, responsive and positive place to learn and grow. 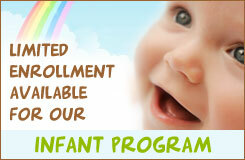 • We value the participation of parents in their child’s early learning experience. • We value our unique partnership with the NYC community and are committed to supporting the instruction of future early childhood educators. Creative Academy is a safe, respectful, responsive and positive place to be. It is a place that supports children in actively engaging with their world to establish healthy relationships with others, in solving interesting problems, and in figuring out who they are and how they fit in their family and community. Families feel connected to Creative Academy knowing their children are cared for and nurtured in a way that respects their own cultural and familial beliefs. It is a place where families will learn and have their voices valued.